This is a complete family or large group entertainment game as many players can have a go at the same time; bingo is a classic game played all over the world and suits ages 6 -99 years. This bingo game set is made from durable plastic and is very easy to setup with the simple clip together system, the set includes 90 yellow numbered ball, 48 bingo playing tickets and 120 foam maker tokens. 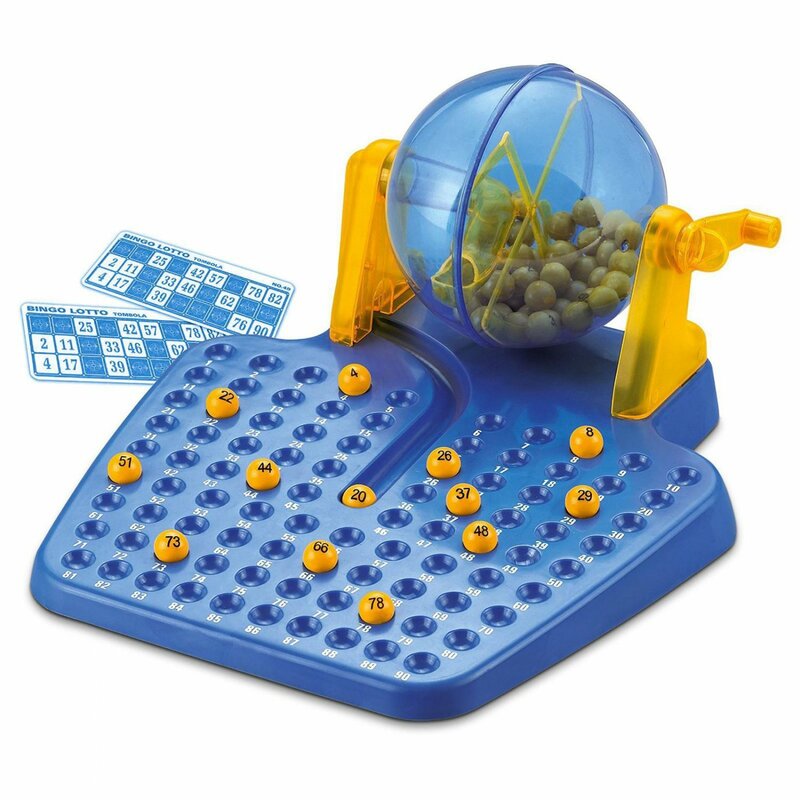 The way the bingo machine works is that you fill the rotating sphere with all the numbered yellow balls and rotate the machine using the hand crank to randomly select a ball that gets dropped into the display board.